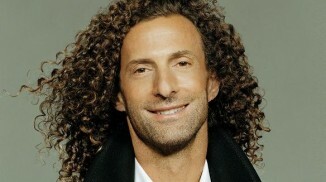 Welcome to kennyg.com. We are currently building out a whole new interactive experience for you. Please keep checking back for more information. I IS VERY SAD THAT YOU DON'T SPEND ANYTIME ON YOUR OWN WEBSITE :-( WE MISS NOT HEARING FROM YOU. KENNY, WELCOME IN KIEV (Ukraine)! We love you! Hey Kenny, your music is and alway will be apart of my life. Today was not a good day at all, until i listened to Passages & Esther tears started pouring there's something bout these two songs that touches my heart deeply.....Thank You!! soooooooo much for all the wonderful things you do in life. You are a gift from god. ????? ?, ????? ???. ???? ????? ??????, ? ???? ????????, ? ??????? ?, ???? ? ??????. ? ?????????, ? ?????? ?? ???? ????. ???? ?, ?????? ?, ??? ? ??? ???? ???????????, ? ??? ???? ?????? ? ?????? ????????????. ? ???? ?????? ?????? ?? ????????? ? ??????? ???????? ????????, ? ??? ??? ??? ??? ??????? ??????????? ? ??????? ????? ?, ??? ?, ??? ? ?? ????? ? ???? ?? ???? ???????????? ?????? ? ?? ?, ???? ?, ??? ? ?? ??????? ???????? ??? ?????????. ?? ???? ? ????? ????????? ????? ????? ? ??? ????????? ?, ????????? ????? ?????? ?????. ? ???? ????? ?????? ????? ?, ?????????? ?? ?? ????????? ? ????? ?, ???????????? ?????? ???????? ??? ???????? ? ???????. ??????? ??? ?? ??? ???????????? ??????!! !